For other people named Ralph Morgan, see Ralph Morgan (disambiguation). Raphael Kuhner Wuppermann (July 6, 1883 – June 11, 1956) billed as Ralph Morgan was a Hollywood stage and film character actor, and an older brother of Frank Morgan (who played the title role in The Wizard of Oz, 1939). Morgan was born Raphael Kuhner Wuppermann in New York City, the eighth of 11 children of Josephine Wright Hancox and George Diogracia Wuppermann. His mother was a Mayflower descendent and his father, George Wuppermann was a Hispanic and Latino German-born citizen, who had moved to U.S. He had made a fortune by distributing Angostura bitters, allowing him to send all of his children to universities. Ralph Morgan attended Trinity School, Riverview Military Academy and graduated from Columbia University with a law degree. However, after almost two years' practicing, he abandoned the world of jurisprudence for the vocation of journeyman actor, having already appeared in Columbia's annual Varsity Show. In 1905, billed as Raphael Kuhner Wupperman, he appeared in The Khan of Kathan, that year's variety show. Morgan became so successful in stock and on Broadway that his younger brother, Frank, was encouraged to give acting a try. Frank's career would eventually overshadow that of his elder brother. His first role on the stage came in The Bachelor in 1909 and later played John Marvin in the 1918 hit play, Lightnin' . Ralph Morgan made his film debut in silent films in 1915, appearing in several production made on the East Coast. In the early talkie era, he played such leading roles in such productions as Strange Interlude in 1932 and Rasputin and the Empress also in 1932. Morgan later worked in both radio and television, frequently in religious dramas filmed for Family Theater. 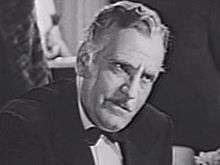 Among his off-camera activities, he, alongside Grant Mitchell, Berton Churchill, Charles Miller, Alden Gay, and Kenneth Thomson, formed the Screen Actors Guild to resolve and stop most of the injustice that actors faced within the industry (among which, were prolonged work hours enforced by the studios and the Academy of Motion Pictures Arts and Sciences' membership policy, which was exclusively by invitation). He was also a founder, charter member, and the first president of SAG in 1933, and he was elected to two additional one-year terms in 1938 and 1939, serving until 1940. Morgan has a star in the Motion Pictures section of the Hollywood Walk of Fame at 1617 Vine Street. It was dedicated February 8, 1960. Ralph Morgan was married to Georgiana Louise Iverson, who as a stage actress was known as Grace Arnold, although he called her "Daisy" and was the father of Claudia Morgan (born Claudeigh Louise Wuppermann, 1911–1974), an actress best known for creating the role of Vera Claythorne on Broadway in the original production of Ten Little Indians, and for her portrayal of Nora Charles on the radio series The Thin Man. Morgan died at his home on June 11, 1956. He was survived by his daughter and a sister. He was interred at Green-Wood Cemetery in Brooklyn, New York. 1 2 3 "Ralph Morgan, Veteran Actor, Dies At Age 72". Sarasota Herald-Tribune. June 12, 1956. Retrieved 24 March 2016. ↑ Henderson, Jessie (January 22, 1933). "True Actors Can't Quit Job, Says Morgan". Utah, Ogden. The Ogden Standard-Examiner. p. 26. Retrieved March 23, 2016 – via Newspapers.com. ↑ "The Columbia Show". New York, New York City. The New York Tribune. March 14, 1905. p. 7. Retrieved March 23, 2016 – via Newspapers.com. ↑ "Frank Morgan". Hollywood Walk of Fame. Retrieved 24 March 2016. Wikimedia Commons has media related to Ralph Morgan.